322 pages | 55 B/W Illus. RNA sequencing (RNA-seq) data offers unprecedented information about the transcriptome, but harnessing this information with bioinformatics tools is typically a bottleneck. RNA-seq Data Analysis: A Practical Approach enables researchers to examine differential expression at gene, exon, and transcript levels and to discover novel genes, transcripts, and whole transcriptomes. Each chapter starts with theoretical background, followed by descriptions of relevant analysis tools and practical examples. Accessible to both bioinformaticians and nonprogramming wet lab scientists, the examples illustrate the use of command-line tools, R, and other open source tools, such as the graphical Chipster software. Taking readers through the whole data analysis workflow, this self-contained guide provides a detailed overview of the main RNA-seq data analysis methods and explains how to use them in practice. It is suitable for researchers from a wide variety of backgrounds, including biology, medicine, genetics, and computer science. The book can also be used in a graduate or advanced undergraduate course. "Next-generation sequencing (NGS) is without doubt among the last decade’s most important technological advance in molecular biology, and RNA sequencing is its most common application, rapidly becoming an indispensable tool in drug discovery and biomarker identification. Given the complexity and fast-paced evolution of the NGS methodology, it may seem overwhelming to a novice to figure out where to get started. RNA-seq Data Analysis: A Practical Approach solves this problem: the single volume provides the reader with a wealth of details extending from the very fundamentals of NGS technology to comprehensive hands-on instructions on how to interpret your freshly baked sequencing reads. After reading this book, you will have all the necessary information to start putting RNA-seq to work answering your research questions." —Dr. Satu Nahkuri, Pharma Research and Early Development, F. Hoffmann-La Roche Ltd.
"This is a fantastic book and a real resource for anyone embarking or already working in RNA-seq data analysis. It is a practical guide that provides layers of information to the reader to comprehend the different steps and options when analysing RNA-seq data. The content and style of the book are great and the authors clearly explain and provide well-rounded examples. This book stands out among others since it is very easy to follow and does not require a strong programming or statistical background. It is obvious the authors have experience with explaining and probably teaching others on how to perform RNA-seq analysis. I highly recommend this book to students, researchers, as well as trainers in RNA-seq data analysis." "It is really a very practical book for both wet lab biologists and computer scientists working on RNA-seq projects. The book is clearly written with a general introduction to RNA-seq in Chapter 1 and a brief description to RNA-seq data analysis in Chapter 2. Detailed information of computational methods, analysis pipelines, and software tools are presented in the remaining chapters with some real examples. I believe that this book will serve not only as a textbook for an introductory course of omics data analysis but also as a guideline for researchers working on RNA-seq projects." "RNA-seq is currently the best method for genome-wide transcriptional profiling of cells in about any organism. This book includes all the key steps, in generally the same organization, that we’ve found to be effective when training biologists and bioinformaticians in RNA-seq analysis. It’s a good guide and reference for RNA-seq that can get analysts started (or keep them going) while avoiding much of the time-consuming literature, documentation, and Web searches at each step of the pipeline. It covers a broad (but not overwhelming) selection of popular methods without the typical bias of an author’s research emphasis." "In modern life sciences, it is increasingly the bioinformatics aspect that holds the essential key to successful research projects and discoveries, albeit often poorly understood, or even regarded as a ‘black box.’ This is precisely the point at which RNA-seq Data Analysis: A Practical Approach comes in. This book, a brilliant compilation of all different aspects of RNA-sequencing analyses, opens up this ‘black box’ and reveals all of its inner workings. It covers all the basic principles while maintaining a tight focus on the practical aspects of successful analyses, including discussing caveats and possible pitfalls. Following this spirit throughout, it is intuitively structured and easy to read, making it attractive both for researchers who want to quickly deepen their understanding of RNA-seq processing and for use as teaching material in the classroom for the scientists of the future." "I feel that this is a marvelous book and will be of invaluable use to support bioinformaticians, graduate students, and the occasional user of the RNA-seq technology. It has great depth of content and addresses the key areas of designing your study and making sense of the data. It covers the typical scenarios that a services bioinformatician is likely to encounter and I can see this book having a place on desks of scientists across academia and industry." 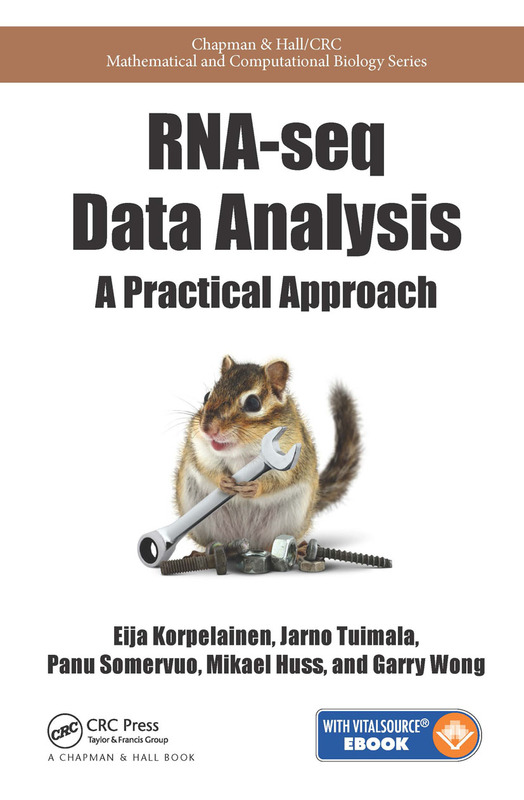 "I strongly recommend RNA-seq Data Analysis: A Practical Approach to any scientist who plans to do sequencing experiments, even if he will not analyze the data by himself. The book gives in the first parts very important outlines of the sequencing technology and how it is working. … Going further, the book covers all state-of-the-art techniques of RNA-seq analysis in a very profound yet clear way and will be of great value even for the advanced bioinformatician as a reference work. … a must-have recommendation to everyone working in the molecular biology field … Even as a bioinformatician with over 15 years of experience in this field, I found many valuable details and some yet not known facts about sequencing data analysis." "Many people are interested in applying RNA-seq to examine the transcriptome of their organism of interest but they are finding it difficult to apply it in their own laboratories. … In this book, RNA-seq is introduced by describing the different platforms and then the reader is taken in a systematic way through the process of analyzing RNA-seq data using several free open source tools. This book will be of interest to people starting with RNA-seq."